If you use an Apple device or a Mac, you may be wondering what is AirDrop. AirDrop is an application available to Apple device users. It makes sharing content easy and quick. Using Bluetooth and Wi-Fi, this application creates a transfer between two enabled devices. AirDrop utilizes Bluetooth technology to establish a basic, low energy network with nearby compatible devices. The content can then be shared in the blink of an eye. 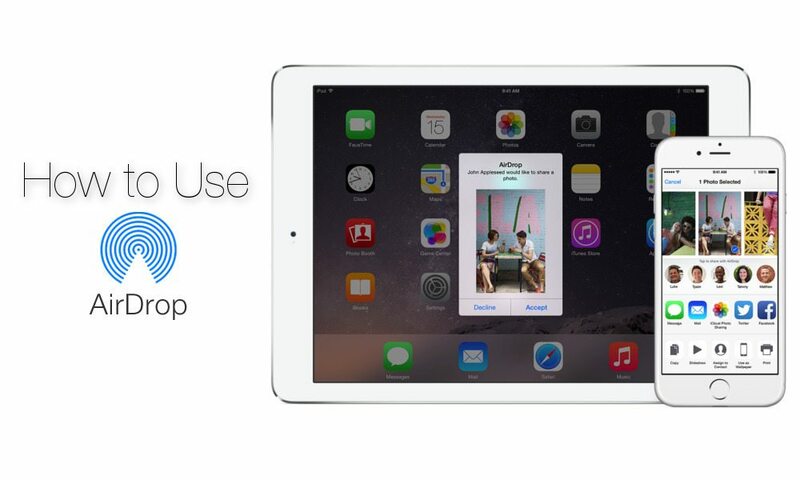 AirDrop can be enabled on Apple devices using iOS 7 or later or a Mac using OS X Yosemite or later. Apple devices that support AirDrop include iPad Pro, iPad mini or later and iPad 4th generation or later, the iPod touch 5th generation or later and the iPhone 5 or later. AirDrop is a useful and convenient tool for sharing files and it’s all thanks to Apple’s innovative use of technical communications technology. AirDrop works by making a Wi-Fi network using Bluetooth. A firewall is put up to protect the connection, and files are encrypted when sent. AirDrop will recognize nearby devices that have the feature activated. The devices must be close enough to make a connection with each other, which is generally 30 feet maximum distance. Some users may run into technical troubles with AirDrop due to incompatible devices or incorrect settings. AirDrop also makes use of iCloud to verify identify and ensure content is only sent to people you have authorized. This is why you may need to be logged into iCloud to use AirDrop. If you have more questions about the technicalities of AirDrop that are deeper than, “What is AirDrop?” we have the answers. Here we break down some of the details regarding technical lingo, troubleshooting tips for sending files, and system requirements. It recognizes other devices through Bonjour–or multicast DNS. This network is low-bandwidth and low-power and is only used to establish an initial connection between devices. While it is possible for AirDrop to work only using Bluetooth, its transfer speed is fairly slow–the highest is 24mbps. That’s when Wi-Fi capabilities kick into gear. When you’re ready to transmit a file to another device, AirDrop creates a direct W-Fi link between the devices. Even though a faster peer-to-peer link is created with Wi-Fi, the devices don’t need to be on the same Wi-Fi network to transmit files. 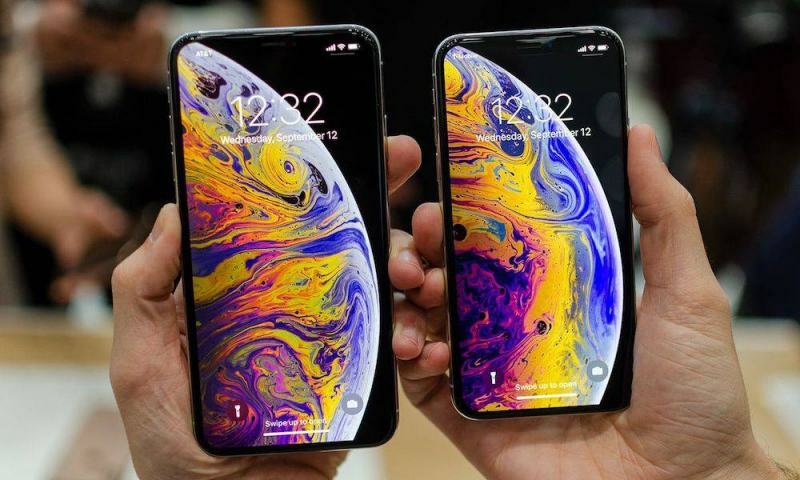 The new Wi-Fi chipsets installed on Apple devices quickly switches between two Wi-Fi networks so that you can transmit files without disrupting your internet connection. In fact, you don’t even need an internet connection to use AirDrop, unlike iMessage or practically any other form of sharing files between Apple devices. iMessage uses Wi-Fi and requires an internet connection to send text messages and pictures. Photos are also re-sized when shared via iMessage, while original photo quality is retained via AirDrop. While Wi-Fi transfer speeds vary by device, it is generally much faster than Bluetooth alone. But because AirDrop uses a combination of Bluetooth and Wi-Fi, it won’t work when either one is turned off. To enable AirDrop on your Apple device, you need to go to the control panel and click AirDrop. To enable it on your Mac, click the Go menu and choose AirDrop. You must also turn on Bluetooth and Wi-Fi turned for the application to work. After activating the app, you will need to choose who can send you files. You will have two choices: contacts or everyone. If you choose contacts, then this is when you will need to be logged into iCloud. You will only be able to send and receive files from devices in your contacts list, and the app must verify their identity using iCloud, so they must be logged in, too. If you choose everyone, then anyone with AirDrop can send you files and you can send files to anyone within range. Choose the device or person you want to share the file with from the AirDrop screen that comes up. Drag and drop the file you want to share to the image of the person or device you want to share it with. Hold Control and right click on the file. Select Share in the menu. Tap the image of the person or device you want to share with. You can also use the share button as you did when using AirDrop on an Apple device. Due to AirDrop being a new feature, some devices aren’t able to send or receive files with it. There are requirements for sending files via AirDrop to iOS devices. To send or receive files, you must have a Mac model from 2012 or later with OS X Yosemite or later operating system installed, with one exception–the Mac Pro from mid 2012. MacBook Air from late 2010 or later. MacBook from late 2008 or later, except for the white MacBooks from late 2008. MacBook Pro from late 2008 or later, except for the 17-inch MacBook Pro from late 2008.
iMac from early 2009 or later. Mac Pro from mid 2010, or early 2009 models with the AirPort Extreme card. Mac Mini from mid 2010 or later. Identifying your model, operating system, and specifications is an important step to troubleshooting AirDrop problems. Once you make sure your devices meet all of the requirements and have the correct settings, you’re ready to transfer files efficiently between Macs and iOS devices. Verify that both devices have AirDrop enabled and are located within 30 feet of one another. If you’re sending a file to an iPhone, iPod Touch, or iPad, your Mac must be from 2012 or newer with OS X Yosemite or a newer OS installed. The iOS device needs to have iOS 7 or later. It must also have the Personal Hotspot disabled, which can be done through Settings > Cellular. If you’re sending a file to another Mac that is using Lion, Mountain Lion, or OS X Mavericks, it must have the AirDrop window open, which can be found in the Finder menu bar by choosing Go > AirDrop. If you still have trouble, open the Security and Privacy preferences on the receiving Mac check if the “block incoming connections” setting is enabled. This setting must be turned off for the Mac to receive files from AirDrop. Lastly, if the receiving device is set to “contacts only,” both devices must be signed into iCloud. The receiving device must also have the phone number and/or email address associated with the sender’s Apple ID in its Contacts. Sharing files and other content is nothing new. This is something that people do all the time. However, there are some key differences in sharing using AirDrop over sharing using another method. To begin with, AirDrop is quick. Typically, content is shared using email or text messages. This requires a lot of work on your part and the part of the receiver. You have to copy the content into a message and send it. Once received, the other person then has to download the content and find the right application in which to open it. With AirDrop, you can just click a couple things and the content is sent straight away to whoever you want. When that person receives it, it is automatically downloaded into the correct application, so it can be opened and accessed right away. Another great benefit is security. You get to choose who can see you in AirDrop by selecting contacts or everyone, so you get that initial option to stay private from people you don’t know. In addition, even if you choose everyone, you don’t have to accept things from people you don’t know. Everything sent requires your approval, so if you don’t know a sender, you can reject the file. When you are sharing content, the connection made is very secure. Because it uses iCloud to verify identity and sends the information over a secure Bluetooth connection, it offers far more protection of your information that sending it via a text message or email. Finally, AirDrop lets you share anything. If you have created a grocery list, for example, on your Mac, you can send it quickly to your phone so you can use it to go shopping. If you have a photo on your iPhone that you want to share with a friend, you can easily pop into AirDrop and send it to him or her with a few taps. It is simple to move files between all your Apple devices or to share them with other people, making it a nice tool if you are constantly moving between devices or if you are working in the Cloud with a group of people. If you have always wondered what AirDrop was all about, then you now have a good idea of all that it can offer. It can be a great tool to use between friends, on a personal level or even for business. Because of the security and the protection built into the app, you don’t have to worry about information getting into the wrong hands or being intercepted. AirDrop is a great option that lets you finally share files, documents, photo and plenty of other content between Apple products by taking just a couple steps.